Some of the b2c fairs traditionally held in spring in Ekaterinburg, are going to take place in an enlarged format. 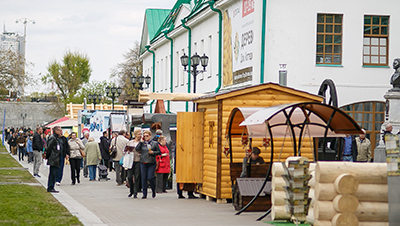 According to recommendations on enlarging local exhibitions and fairs given by the Sverdlovsk Region Government and Ekaterinburg City Administration annually, the exhibition organizers LLC Interregional exhibition company-Ural and LLC IKRinA signed an Agreement on merging their fairs of similar topics, such as timber house construction, landscape design and countryside beautification. Starting from 2019, these exhibitions will be organized in an updated format by the Interregional exhibition company-Ural.